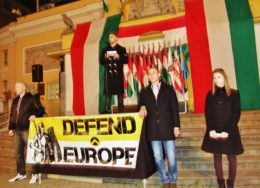 The following is an article that was written at the request of the Hungarian branch of Generation Identity, Identitás Generáció , for translation into Hungarian, and is being run here in English for the first time. I have been asked to introduce the concept of identitarianism. While I’m more than happy to do so, it’s somewhat ironic that European group is being taught about identitarianism by an American, when it has been questioned as to whether there really is such a thing as an authentic American identity at all. Although my colleague Greg Johnson has written quite convincingly  that a very distinct ethnic identity, or perhaps several regional identities, has arisen among people of European descent in America, it is certainly still the case that American identity is very unusual. According to the last US government census, seventy percent of America is still what they consider “white,” which is our catch-all term for everyone of European descent. Although oddly enough, Jews and Arabs are considered white by the government, in spite of being of Middle Eastern origin, whereas Hispanics are counted as a separate ethnic group, despite being a mixture of European and Native American blood. This is something I felt particularly strongly myself when growing up, as I spent most of my childhood on Long Island, which is a suburb of New York City. Long Island, like most suburbs across the United States, has a particularly deracinated and impoverished culture. Generally, one’s way of life and the respect one receives is determined by how much money one has. As one friend of mine who had lived there for several years once put it, “History ended first on Long Island.” Although I had some awareness of what my ancestral origins were, there was no sense at school or anywhere else that one’s ethnicity had any importance whatsoever. That is, if one was white, of course – Jews and other non-whites attached great significance to their respective identities. But for the rest of us, the sense we were given was that, yes, our ancestors had come from somewhere, but we gave all of that up when we came to America for the privilege of becoming American – God’s self-appointed chosen people. It wasn’t until my late teens that I began to wonder about my own ancestry and started to ask my relatives questions about it. (In case you’re curious, I am English, Scottish, and Welsh on my father’s side and Transylvania Saxon on my mother’s.) And slowly, gradually, I came to think of myself as something more than just an isolated individual who was defined by “whose shirts I wear,” to quote David Bowie. I began to notice that I could read literature from Europe, watch European films, listen to European music, and read European history and feel a more profound sense of connection and pride than I could from much of American culture. There was something in it that resonated deep in my blood and soul, and which couldn’t be explained only by my environment. And that was how I embarked on the long journey toward becoming some sort of identitarian. So this is why, in spite of being an outsider, I feel justified in writing about it for a European audience. The sort of society that I grew up in on Long Island is the end goal of American culture as it is being propagated today, and I am firmly convinced that this will become the reality everywhere across the world if the globalists have their way. What I mean is a world in which life is defined by shopping malls, fast food, conformity (except for the occasional controlled and meaningless acts of immature rebellion that the system permits in order to give people the illusion that they’re still in control), and the latest trends in fashion and pop culture. Urban and suburban America are the templates for this new world. And this is why identitarianism is a far deeper form of revolt against the powers that be than is mere political revolution. These days, as we are seeing in Washington as much as anywhere else, political change just means changing one set of global capitalism’s administrators for another. Standing up for the legacy of one’s ancestors and one’s people, what G. K. Chesterton once called the “democracy of the dead,” is one of the most genuinely revolutionary acts that one can perform as a European. I think that here in Hungary, you are blessed in that my impression is that Hungarians have a much deeper sense of who they are than most peoples in Western Europe, and certainly than most Americans do. Even when I meet a liberal Budapester, he’ll always know Hungarian history very thoroughly and will be fully conscious of Hungary’s cultural customs and traditions. This is a great treasure that you should guard closely, as it’s something that many other peoples don’t have anymore. In a sense, it seems to me that Hungarians are already quite naturally identitarian in the sense of knowing who they are, and in terms of seeing themselves as part of a specific community that has its own story that is worth preserving. So a lot of the work that we in the West are just starting to do isn’t necessary for you to repeat here. It’s a sign of the times that we have to define something that would have been perfectly obvious to most people everywhere in the world only a century ago as an “-ism.” In 1917, I’m sure that few people agonized over what their ethnic identity was, or wondered what it meant to be an American or an Englishman or a Frenchman. Today, we have the current President of France telling us that “there is no such thing as French culture.” So in this environment, it’s an unfortunate but necessary fact that we have to believe in our identity, and support it with arguments, rather than just living it as something given and assumed. As many of you may know, the term “identitarianism” as it has come to be known to us today first originated with the Bloc Identitaire group in France in 2002, which eventually gave rise to the even more famous Generation Identitaire. This group developed to represent ideas that had first been formulated intellectually by figures of the school of thought known as the French New Right, which first emerged in 1968 and was defined by such great thinkers as Alain de Benoist, Dominique Venner, and Guillaume Faye. Interestingly enough, “identitarian” was a word borrowed from the Left, as it was a term originally used by French academics to refer to the cultures of the various non-European immigrant groups which have grown in France over the past half-century. Logically, the French identitarians concluded that the thing for which they were fighting for the native French populations was the same thing that the immigrants tried to cling to when they were thrown into an alien culture in another country. And this is a very crucial insight of both the New Right and the identitarians: immigration is just as harmful to the immigrants themselves, in terms of the impact it has on their sense of who they are and how they live, as it is to their host populations. In the end, both groups end up becoming alienated in their own homes, and the nation they share ends up becoming a home for nobody in trying to be a home for everybody. So more specifically, what is identitarianism? Identitarianism is essentially the belief that the various elements which go to make up one’s ethnicity – the language, culture, traditions, religions, and so on – are unique, valuable, and worth preserving. Biological factors are important as well, but identitarianism goes beyond race alone – obviously, a German and an Austrian are of the same race, but there are still significant differences between them. But there are also various levels to identity. One’s identity can involve all of local, regional, national (perhaps), ethnic (which can be transnational, as with Hungarians), and civilizational (as in Europe) factors. Ideally, all of these levels work together and complement one another. One can be a Flemish regionalist, Dutch, a Belgian, and a European without any of those elements necessarily contradicting the others. Identitarians recognize that internal squabbles only weaken our civilization and distract us from the real problems at hand. We must develop a wider sense of identity and see ourselves as Europeans as much as we are Poles, Norwegians, or Spaniards. Europe is confronted by competitive and hostile forces on all sides – from the Middle East, from Africa, from Asia – even, it pains me to admit, from the United States, which in spite of its origins rarely has the best interests of Europe at heart. This means recognizing that we actually have much more in common with peoples who may have been historical foes than with those who are trying to subjugate and replace us in our own lands. While I am not going to pretend that there were not genuine problems between European rivals, we simply have to set these old conflicts aside and look at the bigger historical picture. Even the European Union is not a bad idea – what is bad about it is the way in which it has been implemented and the destructive neoliberal values that it upholds, but the general concept is a good one. The world is entering a multipolar phase. The Third World is rising, and is not content to allow itself to become the plaything of Western economic interests. In this new reality, Europeans will only survive if we stand together. At the same time, being an identitarian does not necessarily mean being a nationalist. Almost everywhere in the world today, governments put economic concerns first and foremost and allow responsibility to their native populations to fall by the wayside. As such, identitarians support the nation-states of which they are citizens only to the extent that those nation-states perform acts that are consistent with our principles. What is more important is loyalty to our ethnic kin and supporting that which aids in their survival as a distinct people. This is one of the fundamental ideas behind identitarianism: that a people is not the same as the nation-state that it lives within, and is even less the same as the day-to-day activities of party politics carried out by the people who dubiously claim to represent our interests. And specifically in the Hungarian case, I therefore think it is proper for Hungarian populations in other countries to stand up for their own customs and traditions as long as this is not done in a chauvinistic, disrespectful, or violent way. Hungarians should not continue to be punished for the misfortunes of a war that was fought a century ago. And really, there is no reason why strong, cohesive, but differing ethnic communities cannot coexist peacefully side-by-side. After all, in the Holy Roman and Hapsburg empires, peoples of many different ethnicities lived together and enjoyed a great deal of political autonomy without this leading to internal violence – that is, until the rise of modern nationalism and nation-states in the nineteenth century. I know that in Transylvania during my forefathers’ time, Germans, Hungarians, and Romanians lived together and yet had separate schools, separate churches, and separate legal systems to maintain their respective identities, and until the second half of the nineteenth century, this was never viewed as a reason for conflict. There’s no reason why we can’t return to something along these lines again. Another one of the important things about identitarianism is that it rejects the racial supremacism that led to the downfall of so many earlier Right-wing movements. Identitarians believe that it is possible for people of various ethnicities to live together, but only when those people share certain fundamental cultural values in common. This is why several different peoples could live together peacefully in Transylvania for centuries, and yet they could not coexist peacefully with invading Mongols and Turks. Today, of course, under globalization, we don’t fight the invading Muslims, but we welcome them in by giving them a home and social benefits and in some cases even citizenship. If you Hungarians don’t remain as vigilant as you have up to now, one day soon you may have “New Hungarians” with names like Muhammad and Ahmed who won’t care anything about Hungary’s history and traditions. This is what has been happening in the West, and the fruits of that attitude are clear to see when we look at the state of nearly any major city in Western Europe, in which there are no-go zones, crime rates are going through the roof, and the Mayor of London (himself a Muslim) tells his constituents that terrorism is now a fact of life for those living in cities. I do not look down on Muslims. Historically, at least, they contributed a great deal to culture and civilization. And at any rate, as an identitarian, I recognize that the Muslims have as much of a right to live as they want to live in their own lands as we do in ours. This is why I have always opposed my own country’s many attempts to intervene in the affairs of Muslim countries. Apart from the fact that, in every case, these adventures have completely failed, it is not the place of America to decide how Muslims should live. But neither do Muslims belong in Europe or the United States in large numbers and the results of allowing them to colonize us are clear to see. Furthermore, countries like Hungary should not be required to bear the burden of dealing with the consequences of America’s failed nation-building and regime change projects in the Middle East. 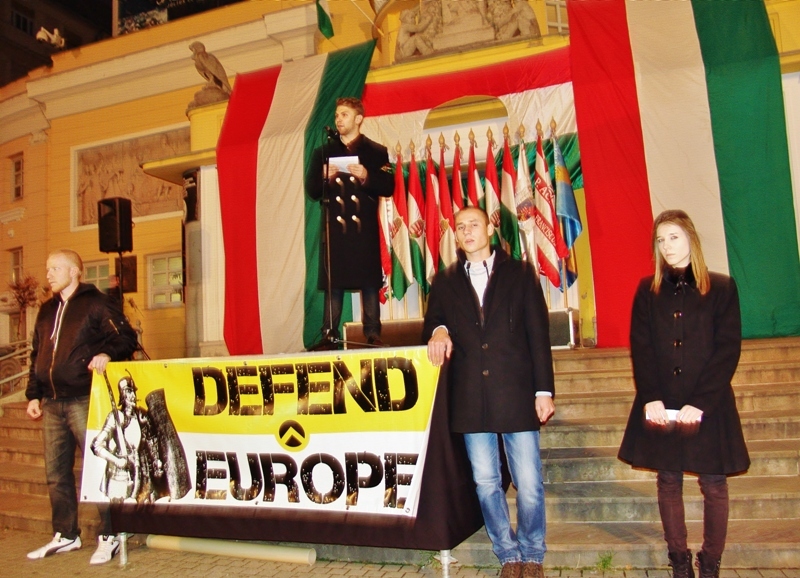 Identitarians should be strictly non-interventionist when it comes to foreign policy. Also, I believe, identitarians have to be unafraid to embrace issues which are typically regarded as Left-wing issues. Globalization is the fruit of a very specific brand of capitalism, and really, opposition to this type of capitalism has to be fundamental to our critique of liberalism as a whole. Identitarians should favor localism and protectionism, even at the expense of economic expediency. Identitarians love all of their people, and not just the wealthiest ones. As such we should seek to reform our political systems in such a way that people are treated as members of a communal family rather than as competitors in an economic free-for-all. The needs of all members of our ethnic family need to be taken into consideration. And likewise, environmentalism is really more inherently an issue for identitarians than it is for the progressive Left. Liberalism, in spite of its lip service to the contrary, typically only treats our natural environment as a resource to be exploited; it is only the pastoral romanticism of someone who truly loves his homeland that causes one to become a steward of the land. It’s time we took back the environmental issue from those who have co-opted it. But in the end, it is mass immigration, and the resulting presence of large numbers of people who aren’t like us, which triggers the need for something like identitarianism. A healthy community, as I’ve mentioned before, doesn’t question what its identity is. This only happens when a people feels threatened by another group with a much stronger drive than their own. I lived for several years in India, and while there was a lot that was both good and bad about living there, one thing I did appreciate about the Indians is that they certainly don’t struggle with questions about who they are, and they very much think of themselves as being part of a community. Likewise, they see it as entirely natural that a group of people should act in their own self-interest and that they have a right to preserve their traditions. When I told Indians about the sort of work that I do and what I believe in, they were much more sympathetic to it than when I discuss the same thing with liberal Westerners. At the same time, there was something alien, and which to me was somewhat disturbing, in the Asian character, and that is its devaluing of the individual in favor of the collective. India doesn’t have this characteristic quite as strongly as some other Asian nations, but there is a definite sense in their culture that the needs of the individual should be subsumed to those of the group. While I think we need more of this type of thinking among our own people, I wouldn’t want to see us take this sense to the same extreme as we see among Asiatic peoples. Perhaps the most defining characteristic of Westerners is their individualism, and yet somehow we were able to balance our idea of individuality with building the most powerful and influential civilization the world has ever seen. I think about the way my parents describe the way America was during their childhoods in the 1950s: people were still strongly individualistic, in fact in general it seems as if they were far bolder than most Americans today in terms of being willing to take risks, and yet they still felt as if they had a duty to their fellow Americans and to their local community. In America today, thinking about the needs of your neighbors is often viewed as a weakness. Everyone just sits in their homes in front of television and computer screens, completely unaware of the lives being lived all around them (including their own, at times). So as identitarians, I think we need to try to figure out how to restore this peculiarly European balance between being individuals and being responsible to our ethnic community. In closing, I’ll reiterate that identitarianism is something that should simply exist as part of our birthright, but due to the unusual circumstances of living in a time that is governed by liberalism and globalization, it’s unfortunately something that we have to construct for ourselves. But we shouldn’t see this as a misfortune; it’s a quest, and it will also give us the opportunity to correct many of the problems that have plagued our peoples and held them back for centuries. Identitarianism is not an attempt to return to some romanticized past, as some nostalgic political currents would have us do; it is rather an attempt to build something new out of the materials of the old. And I’m very glad that this current is now taking root in Hungary, which has stood on the defense line of European civilization for a thousand years, so that Hungary can resume its natural role as a bastion and as an example for the rest of us to follow in the difficult years ahead. The eyes of the identitarians of the entire Western world are on you.